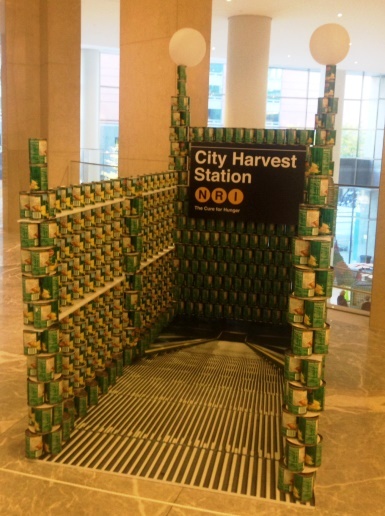 You are currently browsing the tag archive for the ‘F Train’ tag. I think we had the same TV in the 80s. I took mine to Alaska and back. It’s gone now but I just found the remote. Power. Mute. Channel. Volume. That’s it. Yes, Alice. 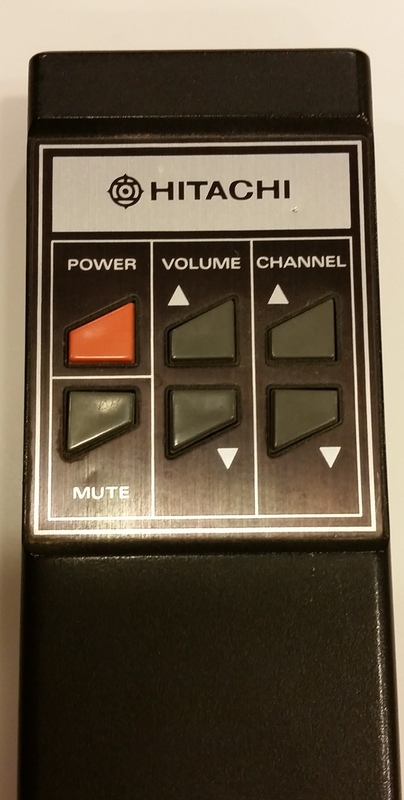 I remember that remote. And I too long for the old days. I have a Smart TV. I am an idiot and don’t know how to use it. I was at a friend’s house with the same smart TV. He showed The Husband and me how you take one cable, connect it to the back of the TV and the other end to your computer and voila! You can get your computer pictures, play video games, watch Netflix, order from amazon, control the Mir space station and the Hubble telescope and who knows what else. I can turn my TV on and off. And sometimes change the channels. The above painting was done over a number of months. Now that it’s complete (maybe) I want to think about whether or not to deconstruct it like I did here and here. 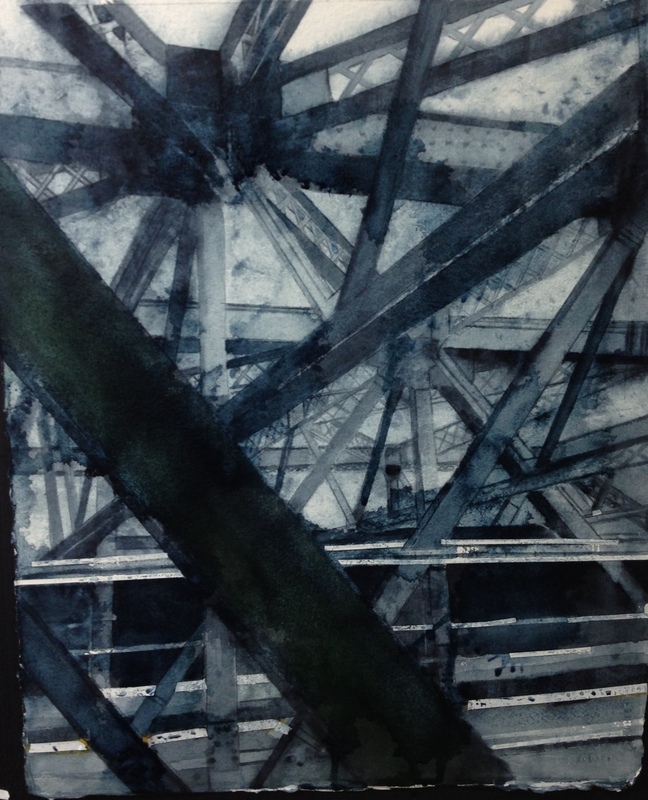 Normally I would do the whole painting in a grisaille first and then add some local color. This time I thought I would switch it up a bit. 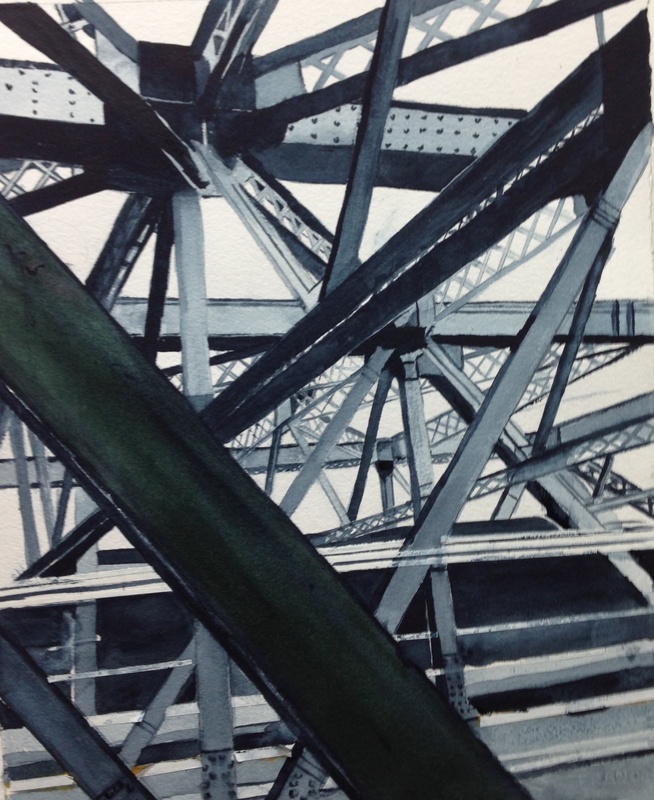 I started it as a grisaille and I then added color with the grisaille. I then dragged a large soft brush with clean water down the paper from the top to the bottom to spread some of the paint around. 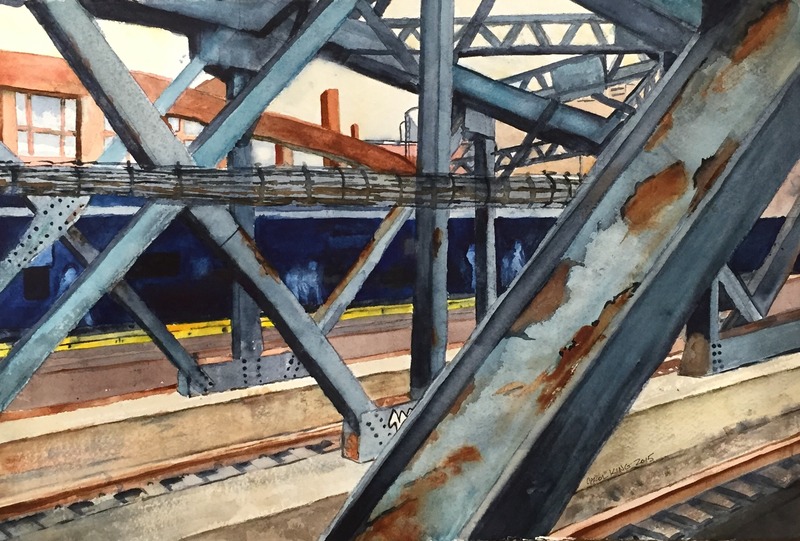 This is slightly different than what I did in previous paintings seen here and here where I waited for the grisaille to dry and then splashed it with clean water followed by very diluted paynes gray and very diluted raw sienna. The dragging of the water gives the painting a look of grittiness since this view is through a subway window. To me it also adds a feeling of movement. I then went back in and added local color. 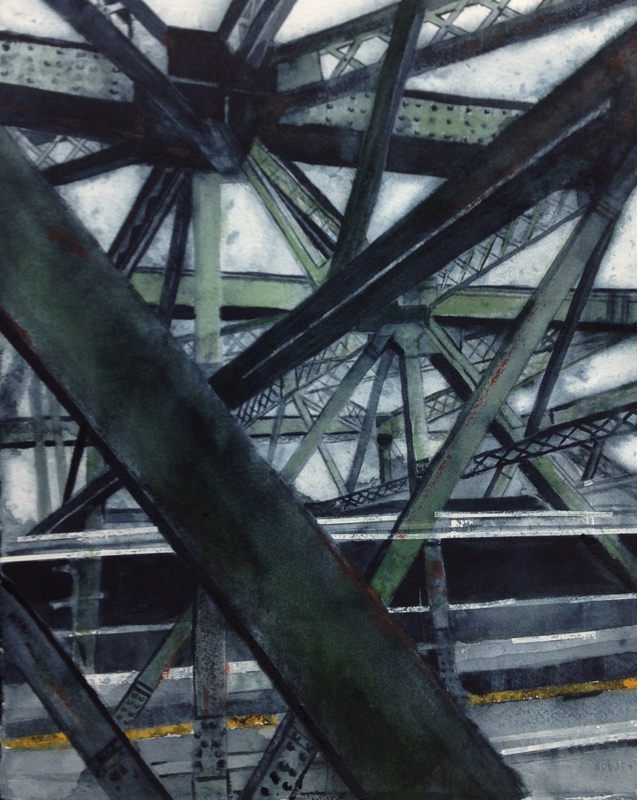 Some green and rust to the girders and some more paynes gray to re-establish some darks and details. 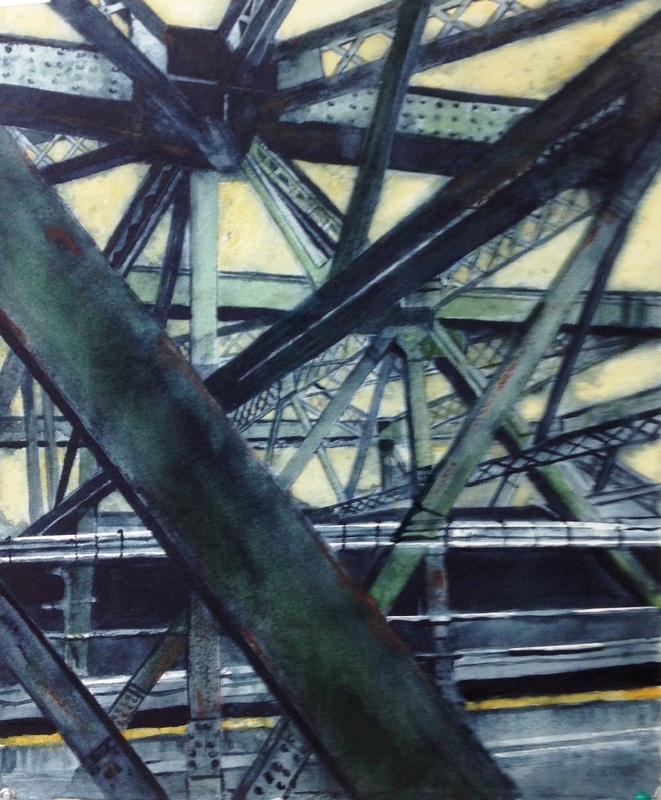 Finally I finished it with a little more detail to the paynes gray girders, local color and I added a raw sienna sky. Cause really, wouldn’t a regular old blue sky just be boring in this painting? 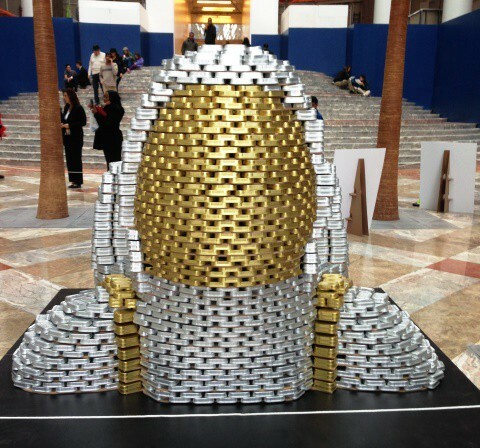 On another note the NYC Canstruction exhibit is going on right now in the Winter Garden at the World Financial Center. 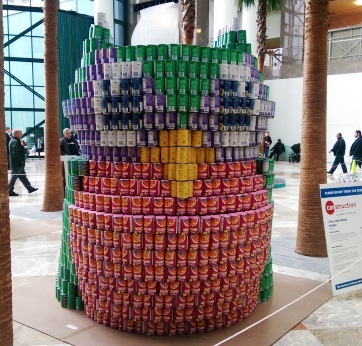 These are cool and fun with all the canned food going to the needy after the exhibit is over. 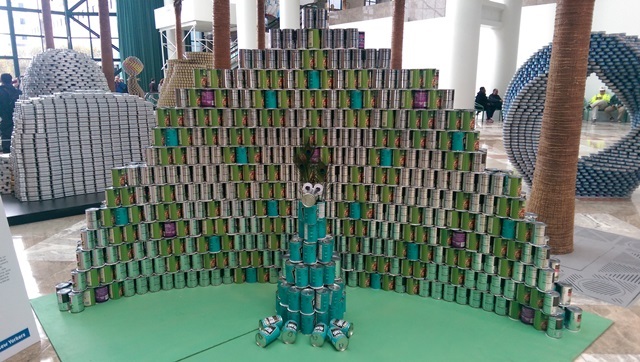 You can also donate canned food when you visit the exhibit. 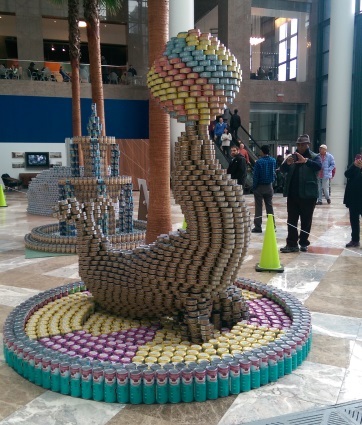 How clever and creative are the people who put these together?